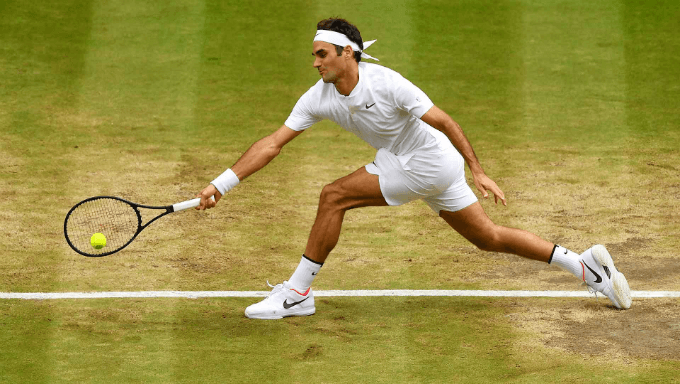 With there being a week to go before Wimbledon, our latest piece focuses on the performances of players in the week before Grand Slam events, and whether it is possible to build a strategy based on historical data. It’s a common accusation - players lack motivation, and often ‘tank’ matches in the week before a Grand Slam. In theory, it’s a viable point of view. These pre-Slam events are almost always 250 level on the ATP Tour, and offer little in the way of ranking point or financial incentives compared to a decent performance in the upcoming Grand Slam, so it is completely feasible that a player may prioritise a Slam over their current tournament. This is particularly true when it is factored in that a week’s arduous graft on a tennis court is likely to fatigue a player for the more important tournament. The question is, how do tennis betting fans exploit this mindset, if indeed, it is actually true? I evaluated the performances of seeds in the events immediately prior to Grand Slams from 2016 onwards, and found some fascinating insights. In the 17 tournaments played, the top seed won just six times, while a top four seed won nine times only. Backing the top four seeds blind in all of these events would almost certainly have an implied win percentage of over 50% based on bookmaker pricing, so we have something to go on here immediately. Three unseeded players - Daniil Medvedev, Marton Fucsovics and Yuichi Sugita - triumphed in these events, while a 16th seed - Pablo Carreno-Busta - took the title in Winston Salem in 2016, and when looking at top four seed performance on the whole in these Grand Slam warm-up events, just 35.29% of top four seeds got to the last four. From an outright perspective, then, it appears that focusing on bigger-priced, non seeded options in these pre-Slam tournaments is the best strategy to keep in mind when wagering on one of the top tennis betting sites. However, we also need to check out the results of the bigger name players in individual matches, in an attempt to assess whether this underperformance translated to a tennis betting strategy we can apply throughout the events. Blind-backing favourites in these Grand Slam warm-up events yielded a return of investment of -0.07%, bearing testament to the efficiency of the closing prices of the market - something that has been discussed on numerous occasions by many writers and analysts in the field of tennis trading. However, there were poor returns for the very heavy favourites (SP <1.25) and in particular, marginal favourites (SP 1.75-1.99), and bettors keen to do some further research may want to plough through some further analysis to see if this trend continued in years prior to 2016. Despite this, as is usually the case, the betting markets efficiency at closing prices dictates the best strategy here - treat every match on its merits and in an ideal world, take prices as early as possible. A blind-backing, or blanket, strategy, rarely works in betting, and the data generated in these pre-Slam warm up events is suitable illustration of this mantra.